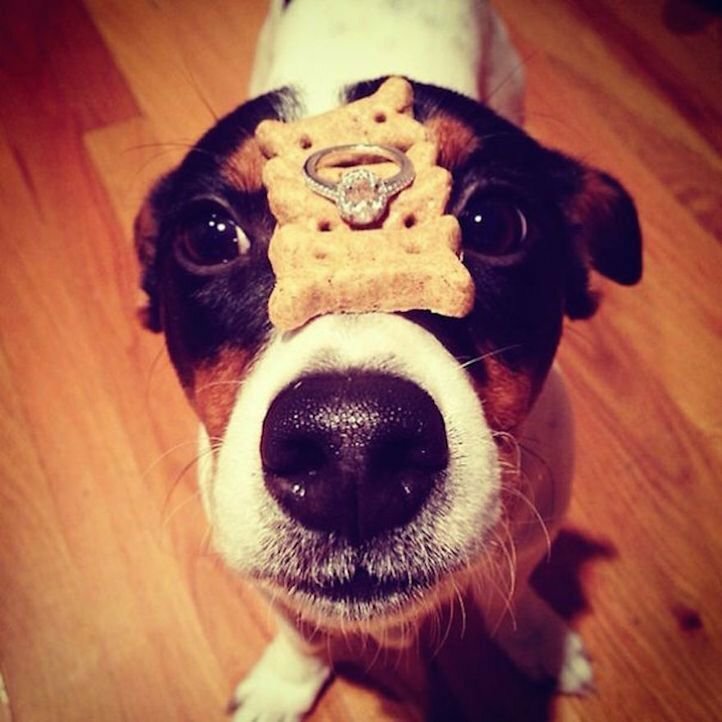 When someone goes down on one knee and is about to ask the most important question of their lives, they really want it to be a full-proof plan. 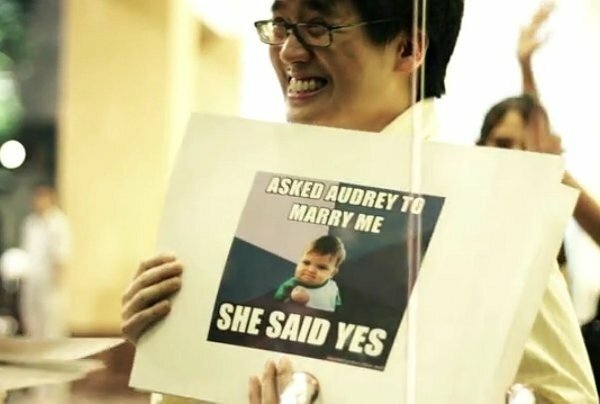 Because no one can handle a 'No' when they propose to the love of their life. 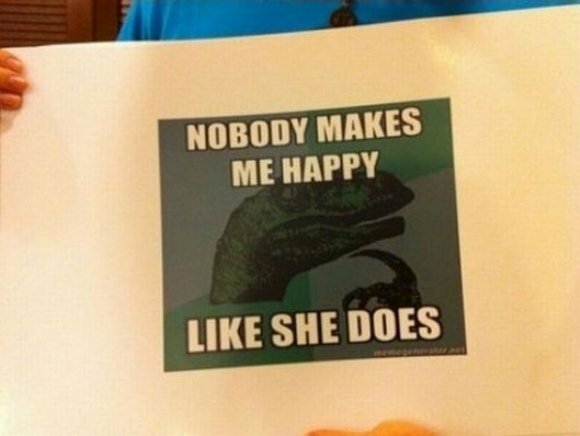 Of course, there are people who have been unlucky with that. 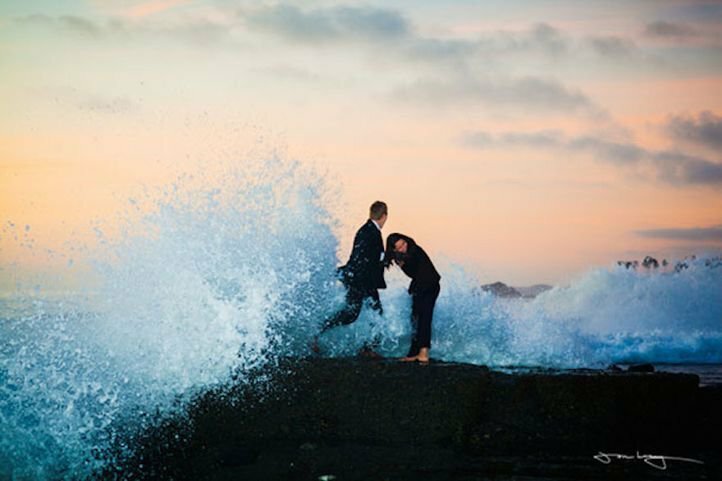 But then there are those who make sure they pour an extra doze of romance into their proposals. 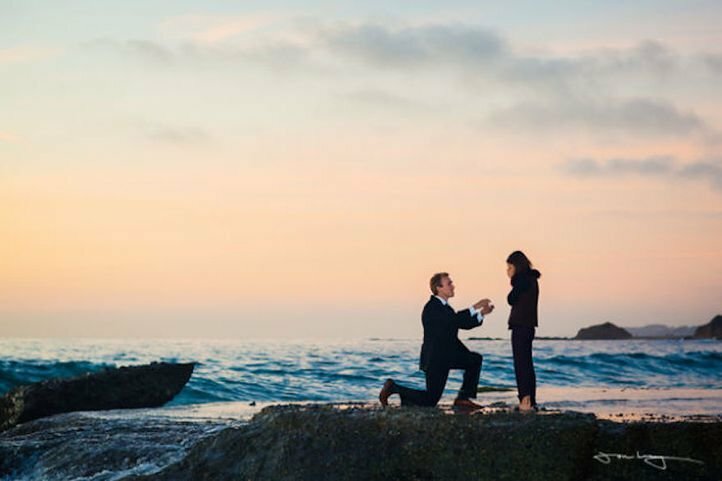 Not just to get an inevitable yes, but to also let the person they love know how much they mean to them. 1. 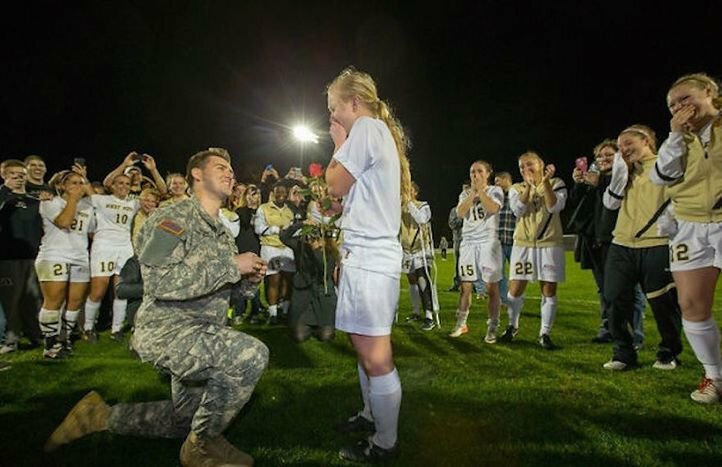 This soldier showing how brave he is on his girlfriend's battlefield. This was the most important game of her season. 2. 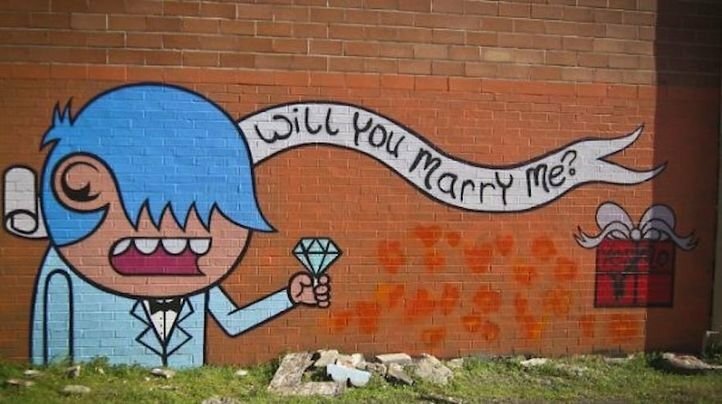 This adorable proposal involving famous memes. 3. This guy who took 3 nights to create this masterpiece using the city as his canvas. The final piece is made up of 800 ten second exposure shots. 4. 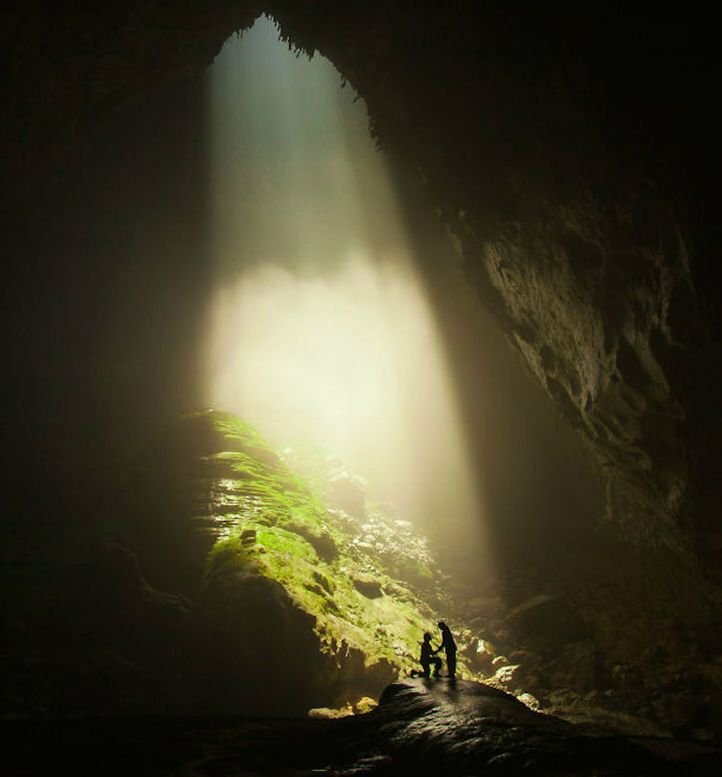 This guy who used one of the world’s biggest caves, which provided him with the best natural spotlight, to pop the question. 5. 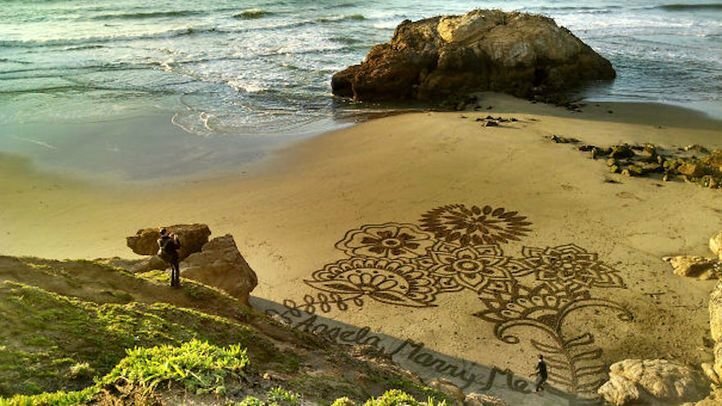 This artist who showed his skill on the sand to propose to his better half. 6. 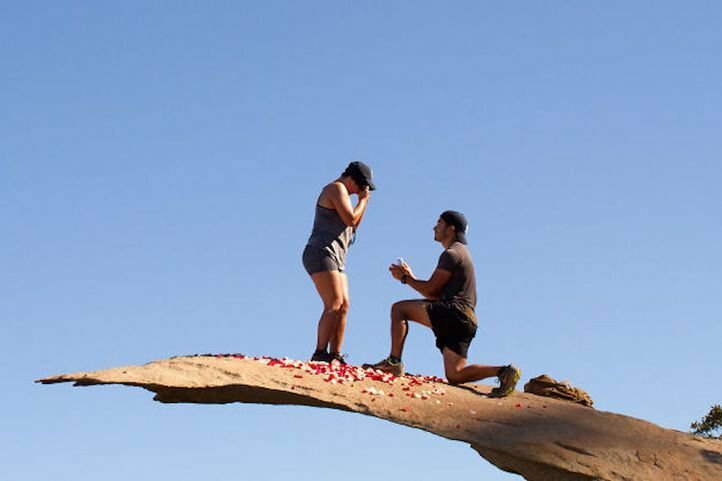 This guy who went down on one knee on top of a steep rock. 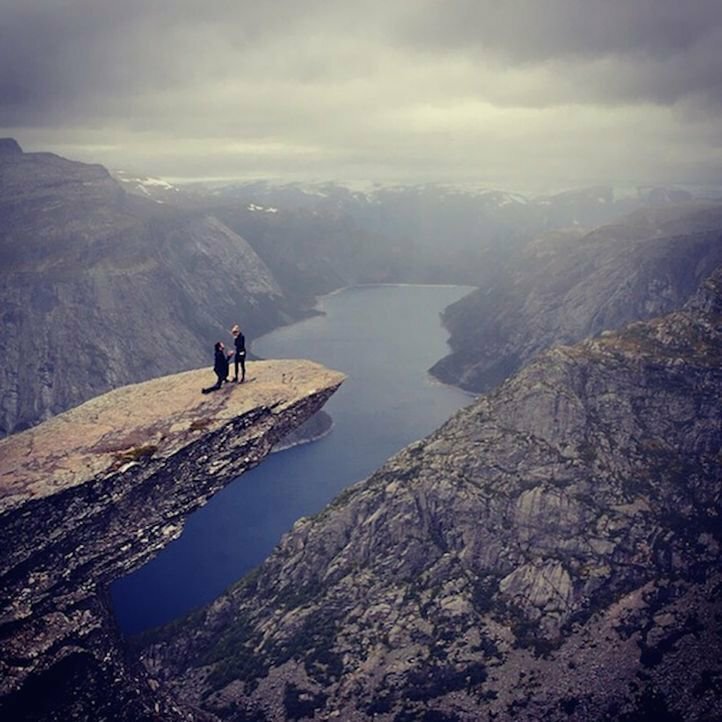 The view is just mesmerizing. 7. 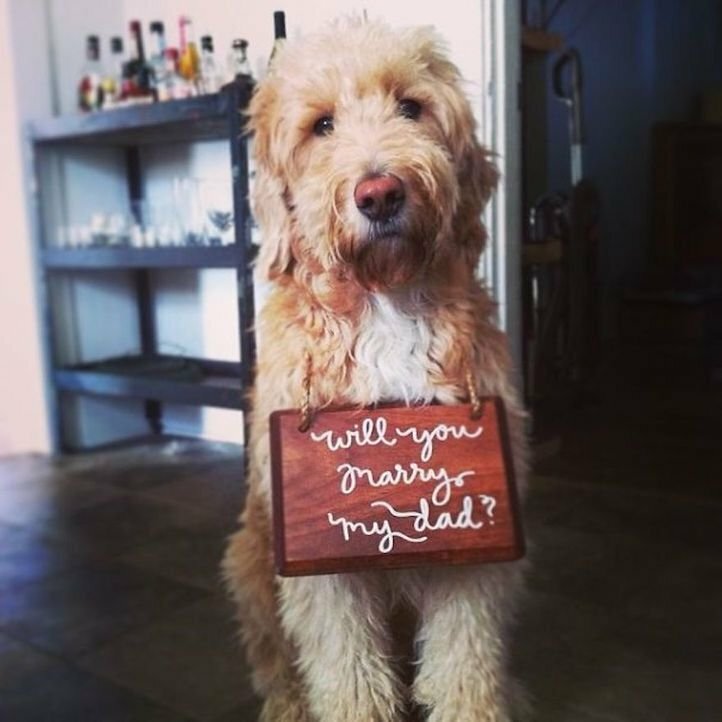 These two men who used their 'awww-inducing' pets to pop the question. 8. 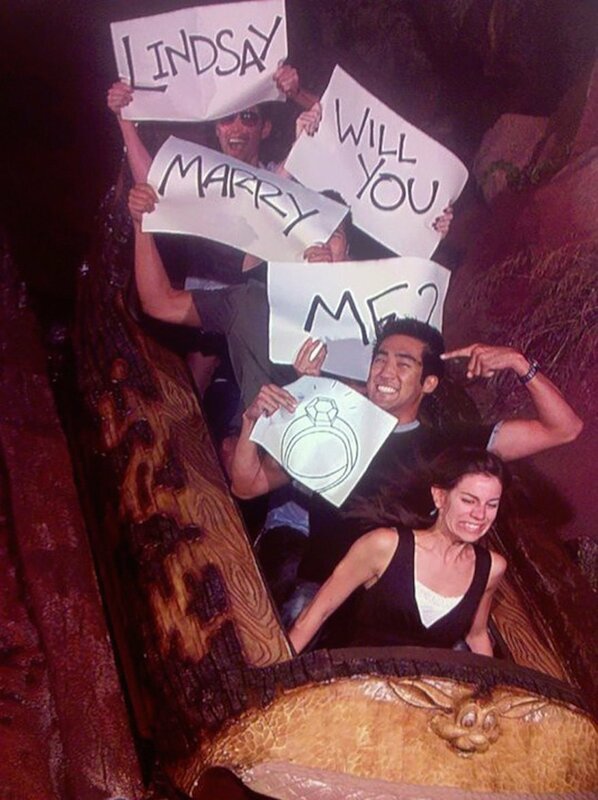 This guy who showed this photo to the girl at the end of the ride, to start a new ride together. 9. 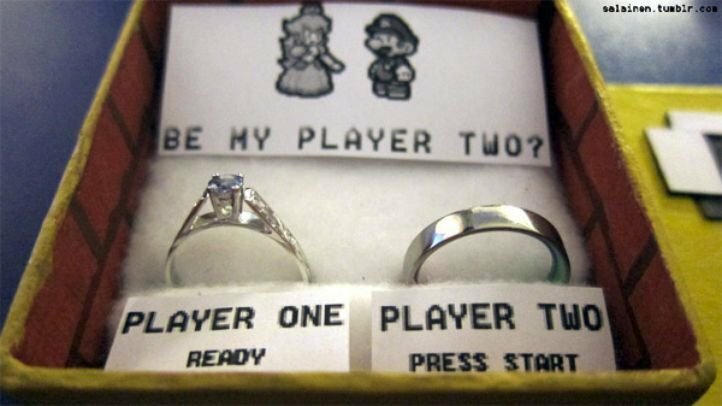 This adorable girl who made her video-game-loving boyfriend her player two for life. We all know that the Italian plumber is a Nintendo lover's delight. 10. 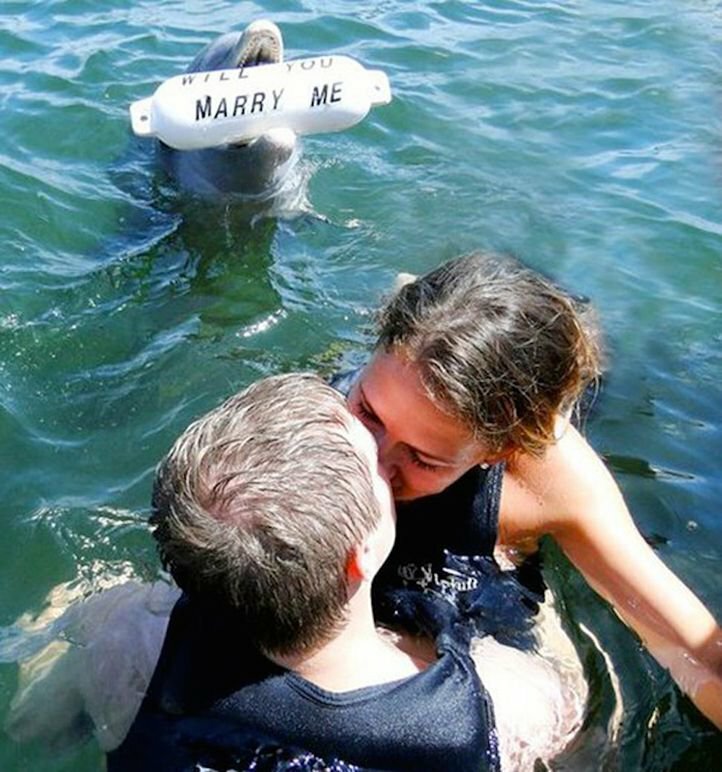 This dolphin who asked the question for the man who, as we can see, got the biggest yes ever! 11. 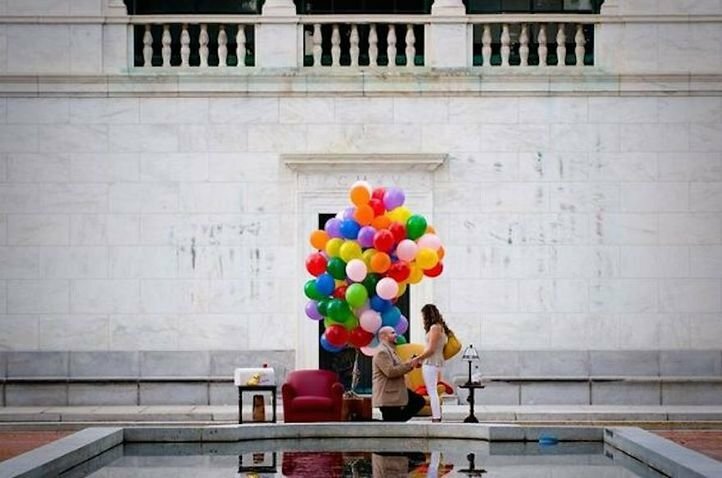 This guy who created an 'UP' themed proposal. 12. 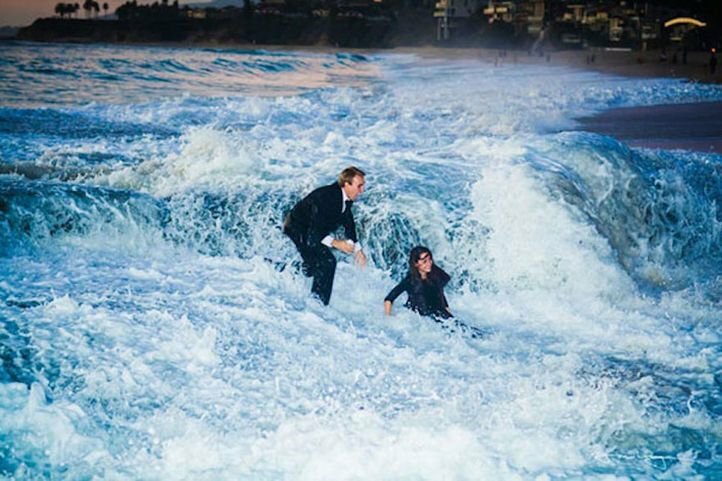 This guy who swept his girl off her feet... Literally! 13. 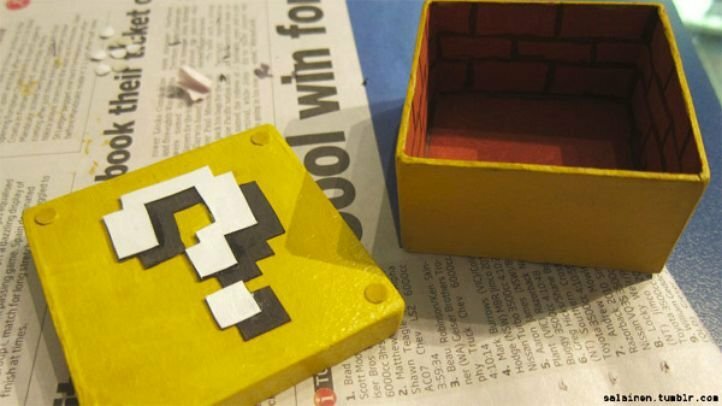 This street artist who put his talent to the best possible use. 14. This marine who proposed at the White House. Yes, the White House! Not many can say they have experienced that. 15. 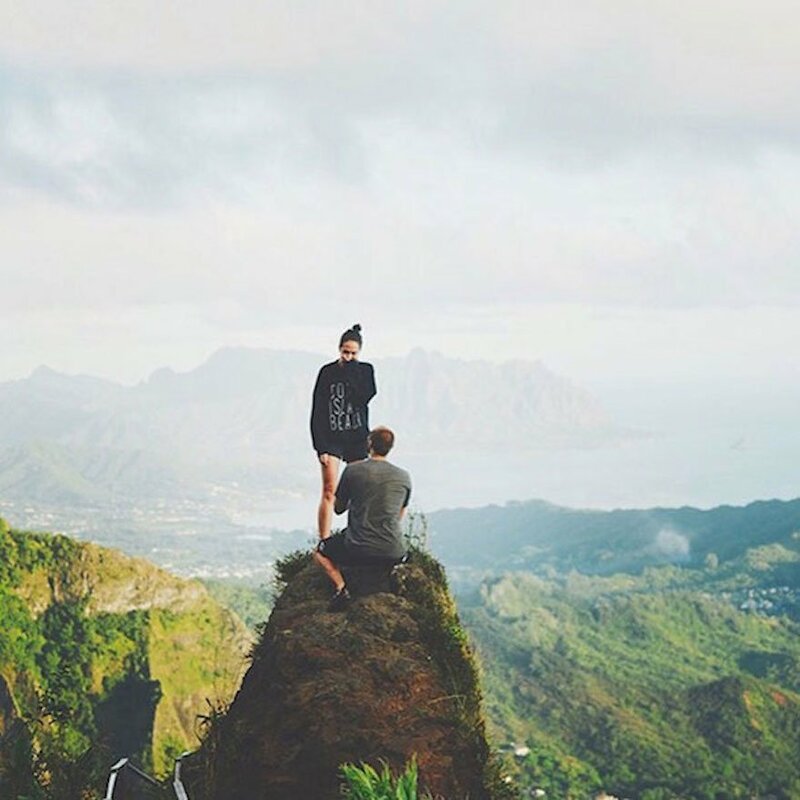 These two men who trekked quite a bit with their better halves to get the perfect view for the perfect question. And they got the perfect 'yes' in reply. 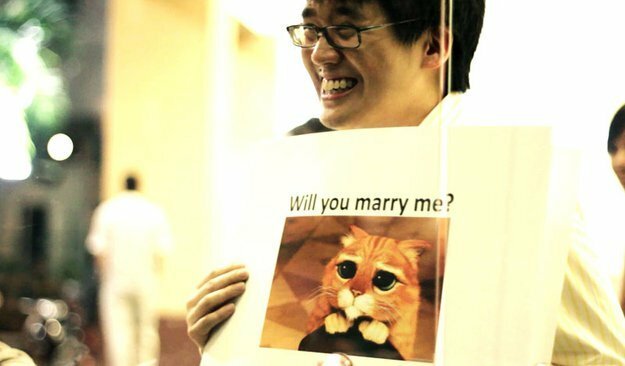 Only a completely heartless person would've said 'No' to these. Luckily, all these guys were successful in melting the hearts of the ones they loved.